Stan Portley’s Timeless and Unique, in London continues to change with the times. Established in 2003, Stan Portley’s has evolved into a destination store for unique gift and home décor items including Painted & Vintage Furniture, paint and unique glass and cast iron hardware. 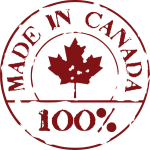 We take pride in the fact that our products are Canadian made or at least sourced in Canada or North America. When it comes to refurbishing furniture even our environmentally friendly line of decorative paints is made in Canada (Cottage Paint in Toronto and van Gogh in Surrey, BC). One of our finishes that we are particularly proud of is our furniture wax made from beeswax, which is chemical free and comes to us from Salt Spring Island off the coast of BC. We offer this fantastic wax as part of our Stan Portley’s Paint Collection. We also have various other waxes, varnishes and finishes specifically made to work with our paint. We have a flat and a satin varnish finish and also an acrylic flat and satin wax. Both give a very durable finish. Bobbie and John Robinson, and now Cy Edy, (Bobbie’s son) bring many years of experience in the field of home décor, painting and art to their store. Their expertise has led them to develop a unique mix of products available only at Stan Portley’s Timeless and Unique. They stock products from Cottage Paint, Modern Masters and van Gogh Fossil paint. They also have the ability to tint colours right in their store, which is something unique to these product lines. Whether your taste runs to Urban Chic, Paris Apartment, Art Deco or cottage style or other traditional, contemporary and chic style, we can meet your needs. Our furniture has been placed in homes and cottages around Port Stanley and London and into the United States and our paintology students have come from all over the United States and Canada to learn from us. As our original a-frame sign said, “lost wives found here”, many wives (and husbands) have found some distinctively unique and timeless items or gifts within our walls. We invite you to come and experience our Timeless & Unique store in London. Our new store is at 1770 Ernest Ave, just south of Southdale Rd., come and see the many unique hand painted pieces we have available.